Petrofac faces a lawsuit from investors that is expected to be worth at least £400million. The legal action comes after the oilfield services firm’s former sales executive David Lufkin pleaded guilty last week in a Serious Fraud Office (SFO) case to handing out more than £39million in bribes to secure £3.4billion-worth of Middle East contracts. 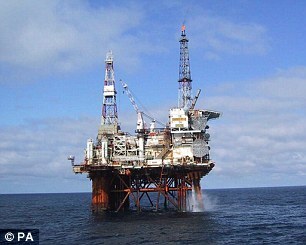 Petrofac’s share price fell 29 per cent after the SFO confirmed it was investigating the company and has failed to recover to the more than 900p it was trading at beforehand. Shares closed down 1.4 per cent, or 5.5p, at 388.5p last night. Petrofac declined to comment.